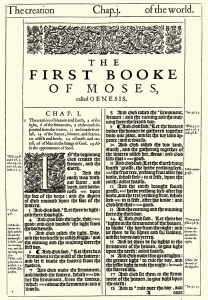 Many Bible Translations = Many Denominations? NO. One of the Facebook forums that I watch but rarely participate in (more heat than light) is called Atheism vs Christianity (no holds barred). Recently, a skeptic posed this question, which I started to answer, but my answer grew to the size of a blog post. So here you go. Conclusion: Therefore, not only does Christianity fail to bring people together, the documentation on which it is based is unreliable and schismatic. Time to show why, in my estimation, there is LITTLE to NO relationship between denominations and translations. 1. Why so many denominations? Denominations predate the multiple English Bible translations, so for sure, translations don’t cause denominations. So what DOES create denominations? Religious freedom was taken quite seriously here, and was one of the primary motives for coming to North America. Lack of oversight or centralization meant lots of variances. Again, lack of a governing doctrinal body in Protestantism meant that local variants on doctrines were often unchallenged. One of the more heinous doctrines of the Roman Catholic Church (in the view of Protestants, esp. Martin Luther) was the separation of clergy and laity. In Protestant New Testament theology, there is no longer any need for mediators between God and man (priesthood) now that Jesus ‘removed the wall of separation.’ (In Prostetantism, Pastors do not stand between the individual and God, but instruct us on how to access God directly.) With that in mind, anyone who felt ‘called’ to preach could start his or her own church, and often, without any formal education (the Apostles themselves, though taught by Jesus, were otherwise unschooled and not from the religious intelligentsia). While the original Protestant Reformers with their Five-Solas emphasis restored a lot of Biblical theology, especially the idea of Salvation by Grace Alone, and the priesthood of believers, there were further doctrines obscured by centuries of Catholicism that did not immediately get recognized. When, for example, the Anabaptists (literally ‘Baptize Again’) began to emphasize credobaptism (adult baptism based on a change of belief to Christianity, or being ‘born again’) over paedobaptism (infant baptism), the Lutherans who started the Reformation *persecuted* the Anabaptists. If you view the Pentecostal movement as a restoration of something lost, that too became a denomination because of opposition from the Fundamentalist Baptists (descendants of the Anabaptists!). In our time, there is a strong Conditionalist movement challenging the traditional view of hell, that of Eternal Conscious Punishment. Conditionalists are making a strong biblical argument (see rethinkinghell.com), but have yet to form a denomination based on it (which may happen, though that is explicitly warned against by many in the movement). All that is to say, men get attached to their doctrines, and if they refuse to continue to grow or update, then new denominations must form to accommodate these new views – call it Progressive Reformation. Sad to say, in American religious history, while many attempts have been made to bring white and black together under the banner of Christ, most have failed, creating mostly white or black denominations. While there are many good examples of integrated Christian communities, the history of denominations, especially in the early 1900’s, is not impressive. Of course, when people from unique language or cultural groups form a church, they tend to stick with these affinities – it’s human nature. 2. Whose Bible version is the TRUE one? SKEPTIC: And what makes you believe that you follow the “one true faith”? Any translation has to use the language as the modern reader might understand it, and with the rapidity of language change in our day, having new translations to speak to the new generations is just a necessity. A good example of this is the traditional use of ‘man’ as ‘mankind’ for all humans, which is now viewed as confusing, if not patriarchal, so newer translations have changed their verbiage accordingly. It has been said that in these times of intense scholarship, research, and information technology, the amount of new knowledge and information created doubles every 12 months, and may soon be every 12 hours. 2 With new historical discoveries comes better understanding of the cultures and worldviews of the original writers, and this can be used to improve our translations. And so we come out with new translations with better interpretations of words and idioms. 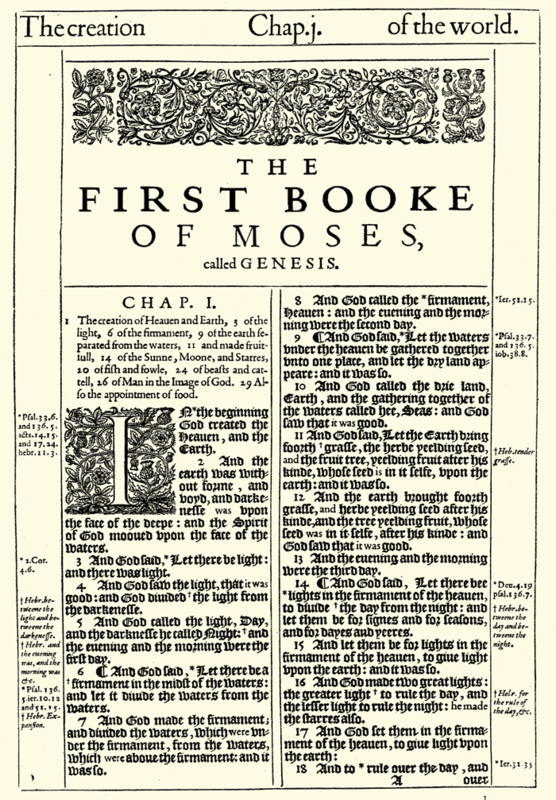 In fact, with the advent of the Net Bible Translation, (bible.org), you can see the Bible versioned much more like software than a book coming out in new editions every decade.